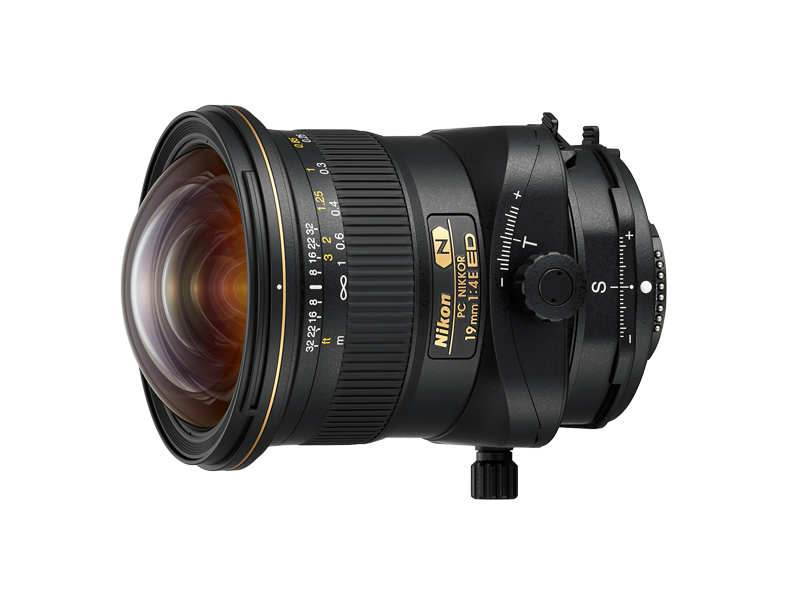 Ultrawide-angle PC NIKKOR lens featuring shift and tilt mechanisms* that enable various photographic techniques such as controlling perspectives, distortion and depth of field in images. * The maximum shift amount is ±12 mm and the maximum tilt amount is ±7.5°. Note: With the D5, D4 series, D3 series, D810 series, D500 and Df, all functions of this lens can be utilized without any restriction. With other cameras, some combinations of shift and rotation may not be available due to the lens contacting the camera body. The Nikon 1 series cameras cannot be used even with the FT1 Mount Adapter. The mechanical structure incorporated in the shift mechanism, that allows smooth and precise adjustment of the lens’ shift position and eliminates the need for lock operation to fix the shift position as well, ensures comfortable shift operation for efficient shooting while controlling perspectives. 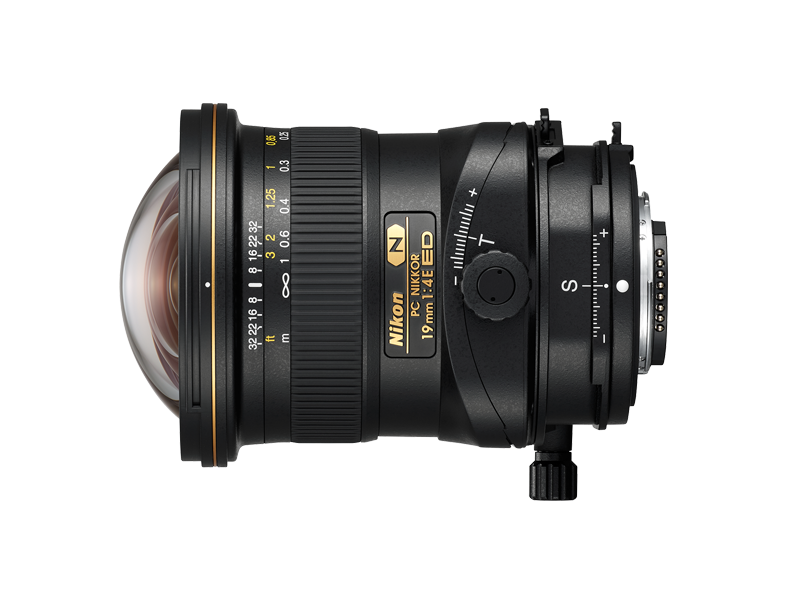 With a new "PC Rotation" mechanism, employed for the first time on PC NIKKOR lenses, the direction of tilt operation can be made parallel or perpendicular to shift according to diverse shooting situations and photographers’ intentions. Superb optical performance delivers "high resolution even at the periphery", that maximizes the potential of high-pixel-count cameras, which is a great advantage for the ultrawide angle of view, as well as a "flat image plane" that produces excellent images across the entire frame. The 19 mm focal length* in FX/35mm format provides an angle of view equivalent to that generally used when shooting architecture and interiors with large- and medium-format cameras, making the lens familiar for many professional photographers of interiors, in particular. * Angle of view of 75 mm focal length that is popular in 4x5 format is equivalent to that of a lens with a focal length of 21 mm in FX/35mm format. Three ED glass elements remarkably reduce chromatic aberration while two aspherical lens elements minimize various types of aberrations such as distortion and spherical aberration. Nano Crystal Coat with its high antireflection properties dramatically minimizes ghost and flare effects even when light enters the lens diagonally, producing clear images reliably. Fluorine coat, applied to the extreme front lens surface, delivers high antifouling performance for easy maintenance.